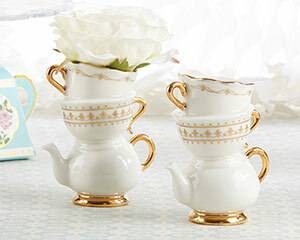 Blooming from a teapot and vase, your favorite flowers will stand out in our Kate Aspen Tea Time Whimsy Ceramic Bud Vase! 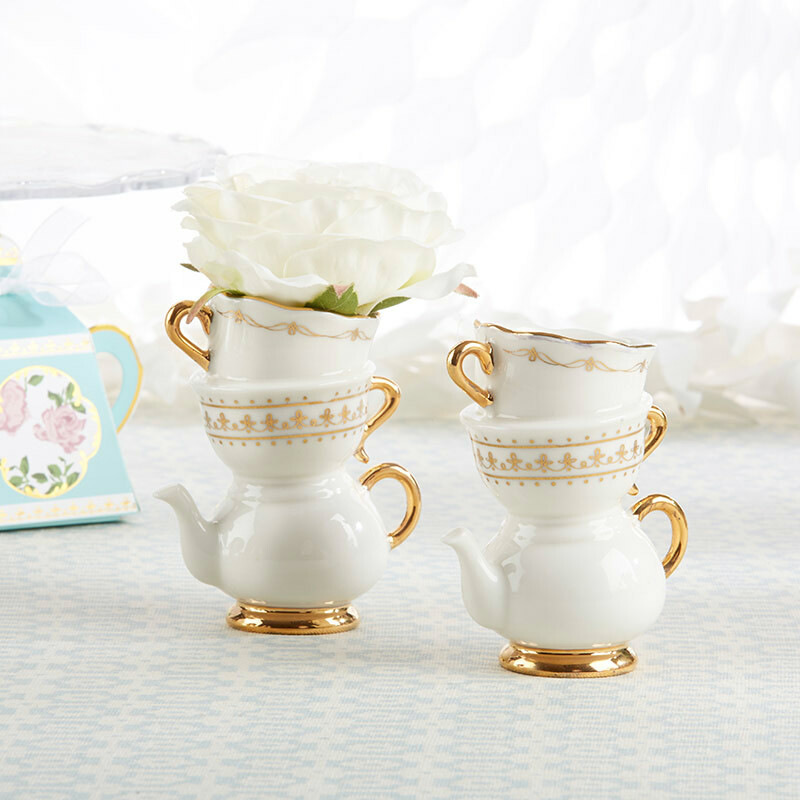 Resting on your party tables, our stacked teapot and teacup-shaped bud vases are perfect for adding that something special to wonderland-inspired birthday parties and tea party bridal showers. The neutral white and gold coloring on this whimsical flower vase accents any color of flower beautifully. Made from ceramic, this is a centerpiece component you'll find use after use for!